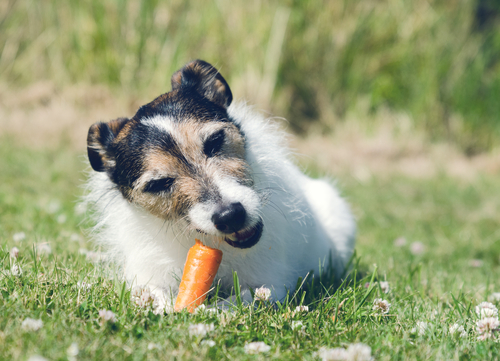 One of the scariest things about feeding raw – for me – was giving my dogs raw meaty bones. Raw bones were the one area that veterinarians have done a bang up job warning dog parents about because they see the bad side of raw bones all the time. Each of these is horribly painful for dogs and terribly expensive for dog parents. While I love taking control of my dogs’ nutrition and I understand that giving them raw bones is important, it’s scary too, right? Our dogs LOVE chewing on their bones, and I love the peace that falls over our home when four dogs are busy gnawing away at their bones. And I have seen a difference in my dogs’ teeth and breath thanks to a chewing session. But it can’t just be any raw bone. I give our dogs raw meaty bones and recreational bones. Raw meaty bones are bones that still have a lot of meat on them like duck necks and can serve as a small meal or part of a meal. 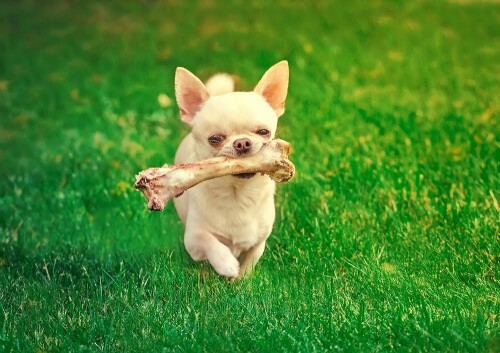 Recreational bones are bones with very little meat and are given to dogs to satisfy their chew drive and clean their teeth; these are not part of my dogs’ meal. I will only allow my dogs to have bones under supervision and this is how I have been able to determine which bones were right for my dogs. The following are the bones that I love and the bones I avoid. I don’t give my dogs chicken necks because I don’t feed my dogs chicken due to Rodrigo’s protein allergies. I like the following bones because they’re too big for the dogs to swallow and they give my dogs a long chew session while still having plenty left to save for the next day. Stock up on freezer bags. I don’t like the following bones because they either splinter (increased risk of internal trauma) or they’re too hard (increased risk of tooth injury). Not all raw feeders will agree because every dog is different. 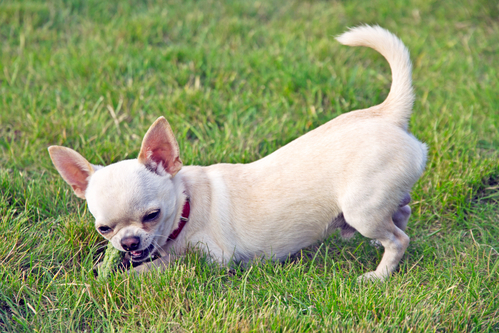 Rodrigo is a strong chewer, and I chose bones for my dogs based on his chewing style. 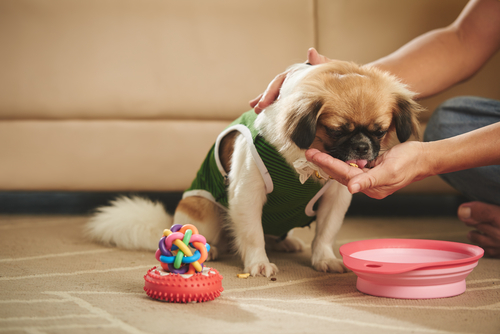 Ultimately, it boils down to what you feel comfortable doing with your dog. I didn’t give my dogs bones for the first year that I fed them a raw diet; today, I order raw bones by the case. For more options, check out my list of 28 Safe Alternatives to Rawhide Chews and find the perfect chew for your dog.